Have you fallen in love with It’s A Brad, Brad World and Shahs of Sunset? Bravo announces seven new series on everything from real estate to fashion! Bravo television programming offers so much more than dirt and drama among Real Housewives and Los Angeles fashion stylists, and that variety will soon expand even more. Earlier today, the network announced seven new and exciting shows on fashion, food, real estate, entrepreneurship, beauty and more. Though all the shows are currently in the development phase and only bear working titles, the glimpses feature a real-life version of Royal Pains and the return of Vogue‘s Andre Leon Talley to television since parting ways with America’s Next Top Model. Whether it’s a family heirloom or the perfect vintage T-shirt, we all own things that have a special place in our heart. The show gets up-close and personal with three different celebrities as they share their 10 all-time favorite things. During each episode, the celebrities will explain why each item means so much to them as well as give viewers an intimate look inside their lives, homes and personal style. Viewers will meet graduates of some of the best high schools in the country — 15 years after the fact. Though their school days are in the past, the competition, the cliques, the insecurities and the longstanding grudges are as true now as they were then. These driven and successful alumni may have families and careers of their own now, but the friendships, rivalries and love affairs prove some things never change. 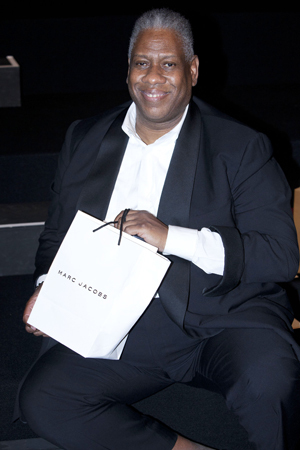 We follow four up-and-coming fashion design teams as they produce the defining collection of their careers, all under the watchful eye of fashion icon Andre Leon Talley. The mission to “create, show and sell” is clear for emerging designers striving to build a business in New York City, which remains the heart of the fashion industry. From the co-founders of Fortune‘s 50 Most Powerful Women in Business ranking comes a competition project that breaks the mold of traditional business shows and celebrates the fact that women are leading the charge to build innovative and inspiring companies. Viewers get to delve into the lives and minds of successful female entrepreneurs and watch some of the biggest names in corporate America help them shatter the glass ceiling. For all those people who attend open houses with no real intention of buying, this studio-based talk show takes us inside unusual private homes, both on and off the market. Each week our esteemed design and real estate panelists will count down the top homes and debate the merits of each, all culminating in choosing the property our panel envies most. This docu-series follows a group of single, successful and beautiful women connected to the restaurant and food industry in Los Angeles as they juggle a world where business always mixes with pleasure. When the wealthy elite of Orange County need medical attention, there is only one place to turn — their cell phones. This version of real-life Royal Pains follows a group of doctors whose business caters to the rich through house calls. Whether it’s stitching up a patient after a surfing accident or racing across town to give a housewife a last-minute Botox injection before a social event, these doctors see and handle it all.